In the current digital era, many companies are hopping on the ‘social media bandwagon’ to better connect with their stakeholders. As a company, would you not want to improve your social media marketing? Do you know what are the best social media marketing tips and tools out there that can be useful for your company? Here are potentially 7 of the best and most practical ways to improve engagement and content strategy on social media. Establish an overarching digital marketing goal so that every online strategy and tactic will be aligned to support it. This resolve will give your social media purpose and help keep you focused on your priorities. For example: If your overall business goal is to improve customer service and retention, then your social media strategies have to be aligned to ensure customer service is enhanced through social media. Thus, your company will focus more on responding to feedback on social media than pushing out promotions on social media. By understanding what motivates your audience, you will be able to provide more relevant and targeted content. Your consumers do not really care about your business, they only care about themselves. Therefore you have to provide content that addresses what your audience wants and focus on providing information, product and services that benefits them. Example: Disneyland’s target audiences are families and children, so their messaging should revolve around family fun times and vacation. Content needs might differ across your platforms as each social platform will most likely have different objectives and target demographics. A social media channel plan will help your company to create and structure content that best targets its audience and meets its goals. A good channel plan will help you maximize your ROI from channels and enable you to utilize your content resources efficiently. Delivering content consistently is one of the best ways to maintain and improve engagement as well as increase your following. There are many tools in the market that helps you to constantly push out relevant and interesting content to your consumers. Do things for a purpose. Hashtagging is a good example of this. Do not spam your posts with random hashtags, just to appear in as many places as possible. Your audience will view it as a nuisance and less “trustworthy”. To have a successful social media plan, use a good hashtag to string pieces of your campaign together. Use unique hashtags that are memorable and easy to spell. Your hashtag gives your audience the ability to easily join and follow the conversation. Do not attribute busy-ness with effectiveness; being efficient does not mean you are being effective. Reverse engineer from your established goal to obtain the steps to best achieve the highest ROI. This allows you to prioritize your activities within a set of boundaries and be disciplined and accountable to others. Since we are living in an age of information overload and short attention span, adding visuals to your social media posts will get your content better noticed. Going a step further – to gain and keep your reader’s attention, add context to your images by adding a caption or title on the image itself. Now, viewers can immediately get informed about what the visual is all about. This is illustrated with the following two pictures. Adding a link to your visual content allows it to act as a gateway to more valuable content and drive traffic back to your website. In conclusion, social media is an amazing tool that gives companies the opportunity to better engage consumers in conversations. While growing your social media presence, ensure you are doing it well. Using social media the right way will help your company increase traffic, gain leads and improve customer satisfaction. Get the basics right- grab attention, build trust and keep consumers engaged. 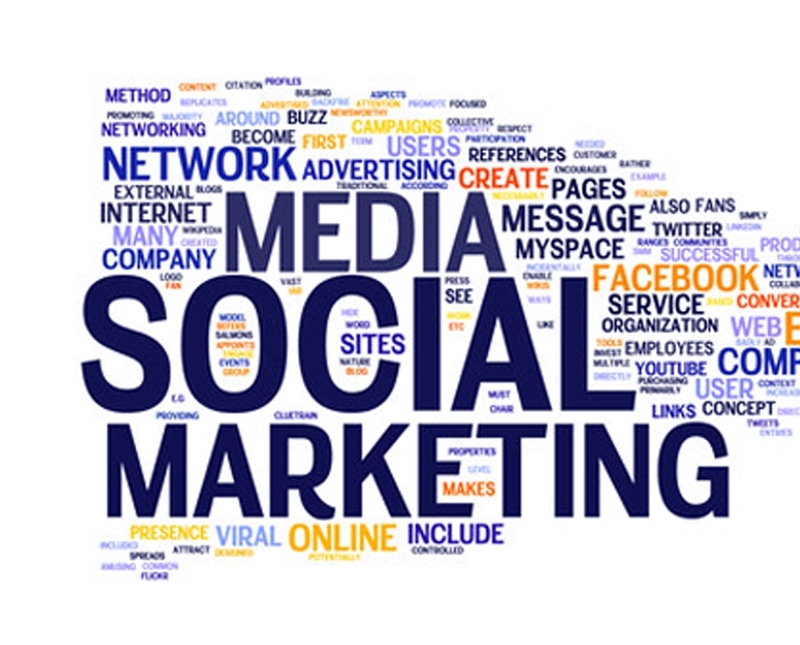 The above social media marketing tips should help you get started on the right track.